Since 1977 Richmond Area Health Center has been serving residents in the Richmond area. At our health center, the top priority is the wellbeing of our patients while utilizing the most up-to-date knowledge and technology. Click here to learn more and to watch a video: Patient-Centered Medical Home. Our staff includes medical providers, behavioral health consultants, a psychiatric mental health nurse practitioner, as well as clinical and administrative support staff. We maintain referral relationships with MaineGeneral Medical Center (Augusta) as well as with specialists at Parkview Hospital (Brunswick), Mid-Coast Hospital (Brunswick), Central Maine Medical Center (Lewiston), and St. Mary's Hospital (Lewiston). Our services also include connecting our patients to local health education resources and programs that help with the cost of health care, medications and laboratory services. 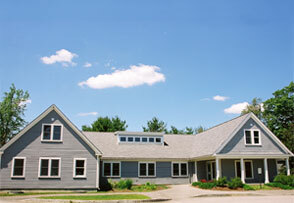 Positioned on the west bank of the Kennebec River, Richmond Area Health Center is located halfway between Augusta and Bath, just twenty minutes from coastal Maine. Our downtown area offers numerous small shops for those who enjoy antiquing, shopping and dining in a small town setting. Richmond is also the departure point to nearby Swan Island, an uninhabited wildlife refuge known for its common viewing of nesting bald eagles, wild turkeys and whitetail deer. Richmond is also home to Peacock beach and the Southard House Museum which displays the area’s history and culture for both residents and visitors.